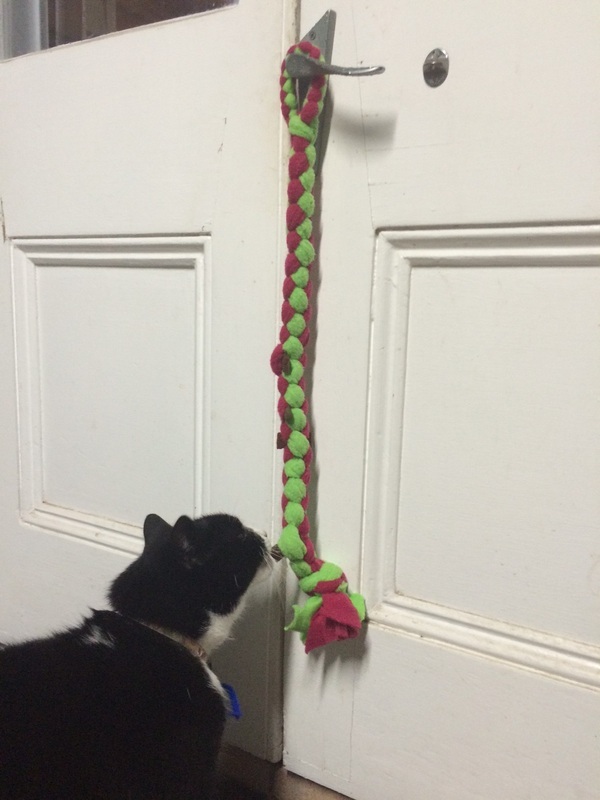 Play with your cat by dangling the tug toy from a door knob or snake it along the ground for an interactive game with you. 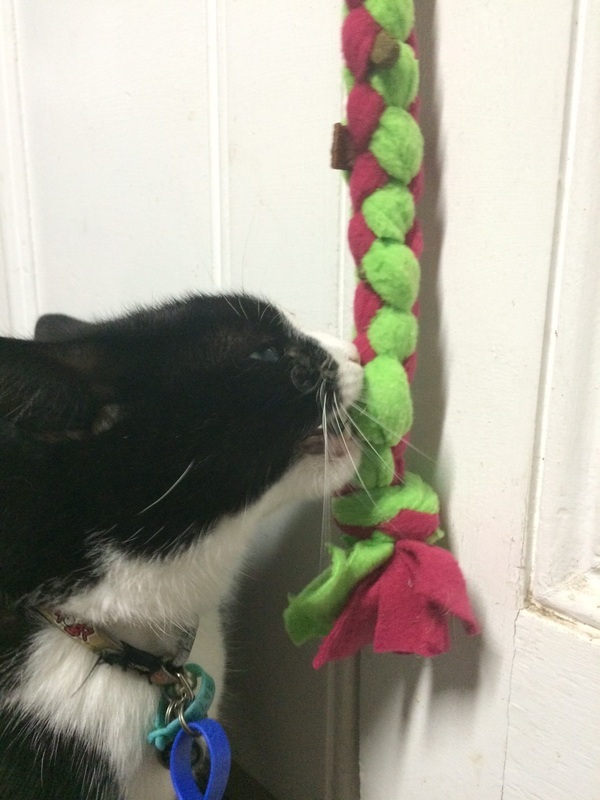 Push high value solid foods (small pieces of dried meat are good) into the fibres of the rope for your cat to “hunt” and pull out. Make it easy at first, and build up the difficulty by pushing the treat in further or hanging the toy from a higher point. If you hang it above something rather than against a solid wall/door it will be harder for your cat to work it out. Use as a perch, swing and foraging device. 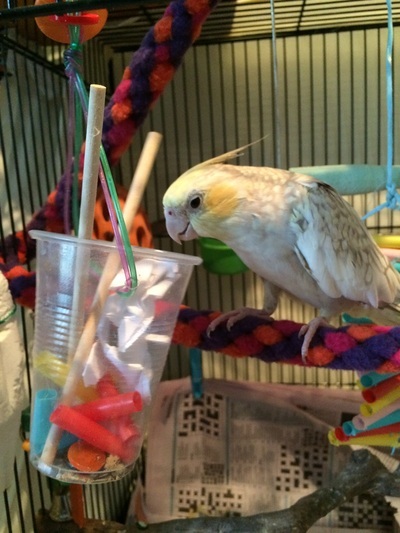 Hide high value foods (sunflower seeds, nuts, fruit or vege in the rope). 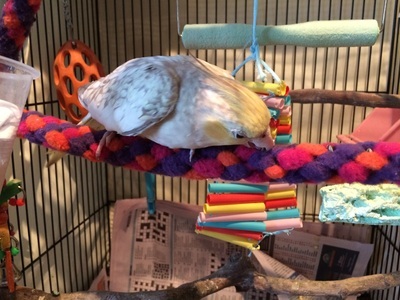 Don’t make it too hard too soon or your bird will get frustrated. 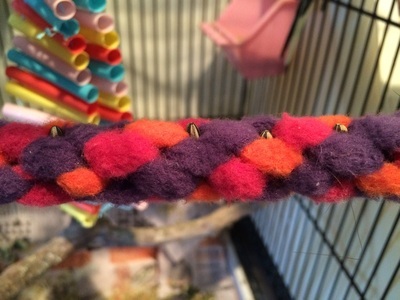 Hang the toy in their enclosure as a climbing rope or balancing perch. Push high value food into the fabric and allow your rat/mouse to forage for his/her favourite food. For information on Rules of Tug for dogs click here OR to make your own tug toy click here.